Last night, in partnership with United By Blue, Clean Currents, CityCoHo | Philly Nexus, and B Lab, Forsei hosted its first networking event series called “The Collective”. Armed with finger foods and Triumph’s 80 shilling ale, we welcomed people from all over the city to talk about green initiatives and social impact. We offered the opportunity to participate in a dialogue spurred by the prompts “Triple Bottom Line (TBL) business will transform Philly by…” and “I will ______ to promote Triple Bottom Line business in 2014”. Many people pledged to share TBL on social media. There were some fantastic discussions going and definitely not limited to these two topics. And of course, a great deal of knowledge swapping and resource sharing took place—what it’s all about! Collective Happy Hour attendees hailed from Solar States, Sustainable Business Network, NeuroDrink, B Lab, UBB, CityCoHo, and more! I, personally am driven by people. Interactions with people inspire me and motivate me. So, when a group of people passionate about social and environmental impacts come together to help each other achieve their goals, I am beyond energized. People became immersed in conversations and everyone stayed past closing with excitement to stick around with their amazing new friends. To be able to provide such an opportunity and in partnership with amazing, movers-and-shakers like United By Blue, Clean Currents, CityCoHo | Philly Nexus, and B Lab is a wonderful thing and we're so happy that we're a part of it. We started The Collective to bring Philadelphia triple bottom line business together to share knowledge and resources and to ultimately create a monthly space for social and environmental impacts to proliferate. I look forward to hosting more in the future so that we may continue to give each other a hand in achieving our goals of changing the world. 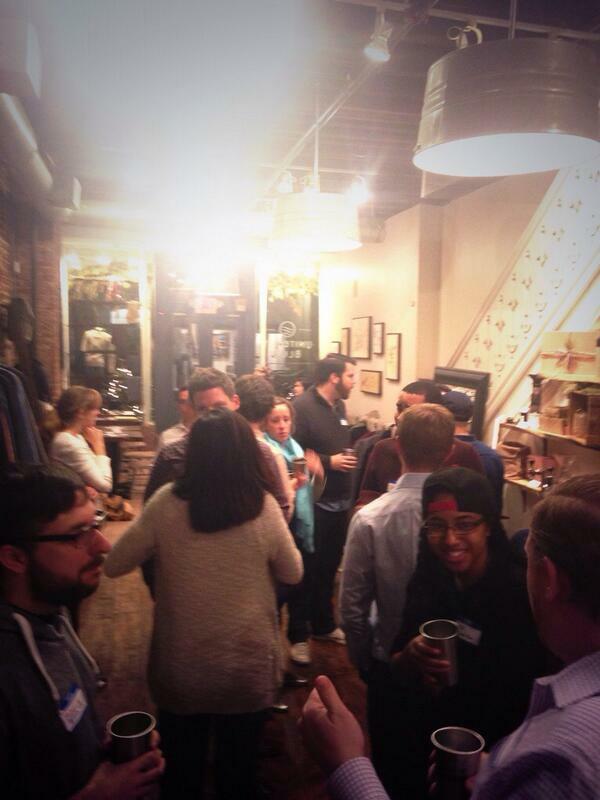 We hope to see you February 19th at CityCoHo | Philly Nexus (2401 Walnut) for the next Collective happy hour!